Practical Guide: How do I tell stories? Where do I begin? By McKay, H & Dudley, B. A young peoples collection of unusual tales and helpful hints on how to tell them. Aimed at getting teenagers to tell stories it has a lovely range of stories in the back section for all who want to get started. Twenty tellable tales: Audience participation folktales for the beginning storyteller. Aimed at developing literacy through storytelling for K-6. Has a range of interesting memorisation techniques for the teacher storyteller. Encouragement and tips for the teacher storyteller and how to get the students involved. Storytelling and the Art of Imagination. Publ by Yellow Moon Press, 1998. ISBN 0-938756-66-4. A welcome reissue of this important and wise book that leads readers through a series of sensitive exercises to awaken imagination and create stories. Profound insights into the typical events, landscapes, characters, and images of fairy tales join with practical suggestions for harnessing the power of these elements. There are so many collections that it is hard to go through them all. My best advice is to go to your local library and start borrowing! Once you have read them you will know if it is a resource or style that suits you. Talk to other parents, librarians about books they and the children they interact with enjoy (don’t forget to ask Why?). The stories help to explain how the land came to be shaped and inhabited; how to behave and why; where to find certain foods, etc. You can download the audio of these stories. It is a beautiful well-produced collection. It also includes a kids and dictionary section. A website that supplies a large range of products, one of which are Aboriginal and Torres Strait Island Felt stories. Go to the web site and follow links to felt stories. Barefoot Books publish a number of story collections from around the world. The collections have high quality illustrations and usually come with a CD as well. This is a well-established North American site. It has many stories available including an SOS – Searching Out Stories section. Which allows a comprehensive free archival library for finding stories, sources and advice from professional North American storytellers. Be careful when typing in the url of this one as storylovers with no hyphen will take you to a ‘finding love stories’ meeting site! Storyteller Brother Wolf interviews different storytellers weekly. These interviews are available via iTunes or as podcasts. 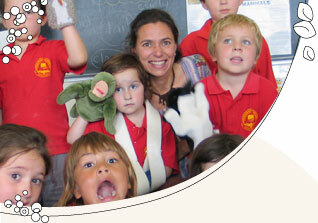 Digital library of stories for children that can be read and heard in Spanish or English. A great resource. Again this is aimed at school age children although many of the stories can be used with younger age groups if appropriately adjusted. These stories are particularly good when using story to address an issue. Australian stories available online by following the Place Stories link. This website offers an amazing combination of arts, community and digital material. North American stories available online. Some workshop notes available and training information.